How HireRabbit delivered 63% matching profiles to Guavus « @HireRabbit Social Recruiting Blog! "HireRabbit helped us leverage our Facebook presence to attract more qualified candidates and enhance our brand awareness globally." Guavus was looking for new ways to recruit to meet their rapid growth plans. To maximize its opportunity for success, Guavus used HireRabbit’s product to launch facebook & mobile presence. HireRabbit enabled Guavus to create a custom job site on facebook & mobile with consistent employer branding to match with Guavus corporate branding. HireRabbit job site was designed to achieve specific goals, including custom messaging, traffic generation, increase qualified candidate applications, and easy social sharing of jobs. Facebook ad campaign managed by HireRabbit resulted in 1.5m+ ad impressions and 136 applicants within 4 weeks with cost per application of $0.47. Click-through rates for the campaign were 3X greater than facebook's average CTRs. 63.3% of the 136 applications received were from targeted educational institution with relevant skill sets. 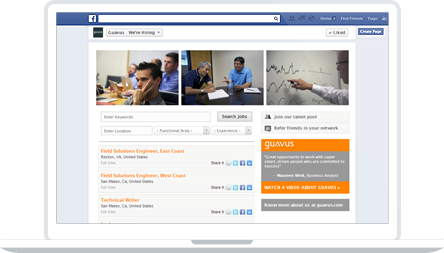 Guavus facebook & mobile job site converted 5.23% of its 3858 global visitors into applicants. Apart from applying to jobs, candidates took 3,851 further actions i.e. liking the page, watching video and visiting Guavus’ website. Create a custom job site on Facebook with consistent employer branding to match with Guavus website. Create a clean user interface design, rich in images & videos to enhance branding and increase engagement. Allow candidates to conduct job search and consume jobs from inside Facebook. Drive targeted pre-qualified candidates to the specific landing pages for jobs. Run ads where the audience was most responsive to generate maximum ROI. HireRabbit tested and optimized Guavus’ ads to identify the best performing message/image combination and produce superior results. 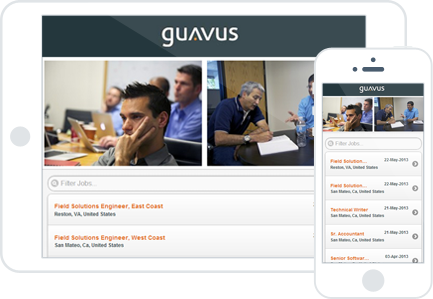 Create a custom mobile job site to match with Guavus brand. Tap into candidates on-the-go to generate more traffic and increase application rates. Include mobile in facebook recruiting strategy to tap in to candidates engaging with facebook recruitment ads from a mobile device. Gain data-driven insights that allowed the recruiting team to continuously improve its strategy and drive better results. 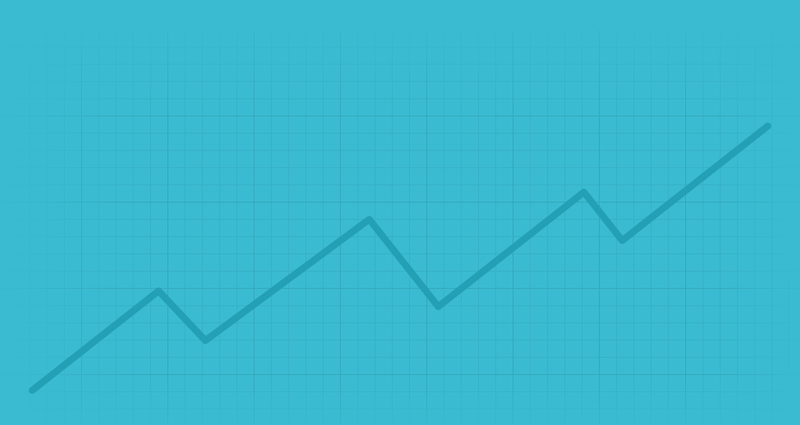 Understand how different promotional tactics created spikes in traffic to the job landing pages. 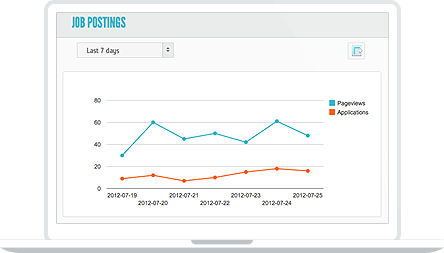 Gather the number of job views and applications generated by Facebook & mobile job site. 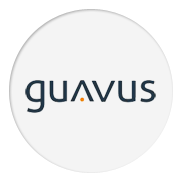 Founded in February 2006, Guavus has been built from the ground up to unlock the value of operational, sensor & network generated data and reduce the economic & technology risk associated with deploying a traditional business intelligence solution. Guavus big data solutions have been deployed at some of the largest communication service provides in the world, including 2 of the top 3 US mobile operators, 3 of the top 5 IP/MPLS backbone carriers and some of the largest digital media distribution networks. 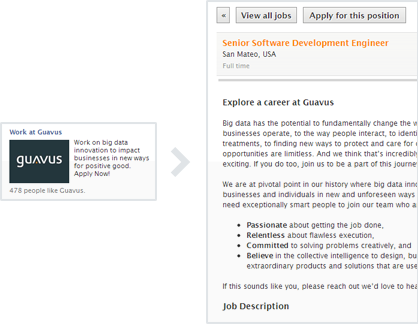 "Guavus is committed to hiring the best and brightest talent as we scale operations and meet our rapid growth plans. HireRabbit helped us leverage our Facebook presence to attract more qualified candidates."